I am on my summer break so I am constantly changing my nails and trying out new designs. Each hand has different nail designs so I can create more tutorials. 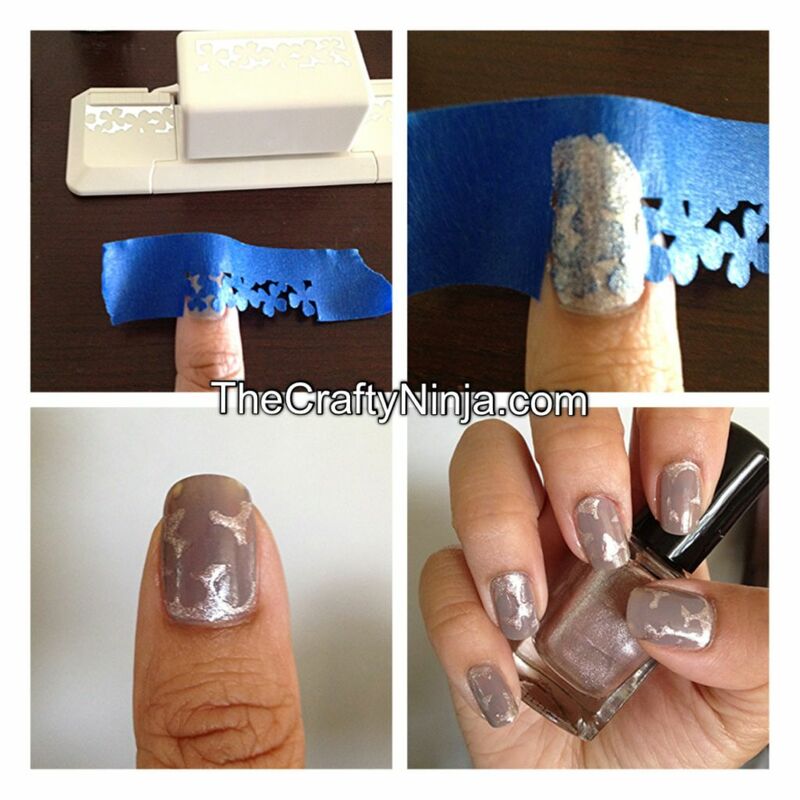 Today’s nail art tutorial is using craft punches and scotch blues painters tape to create this easy manicure. Supplies needed: Scotch Blue Painters Tape, Martha Stewart Edger Punch (Flower here or Butterfly here), Craft Punch- heart, star, circle designs, and Nail Dot Tool. 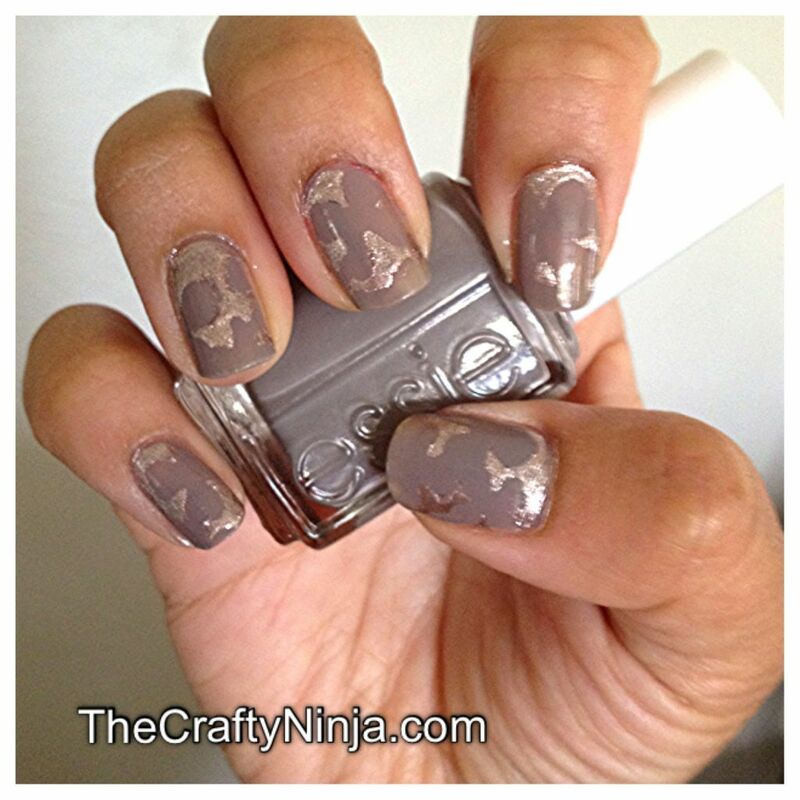 I first used Finger Paints Base Coat then Essie ChinChilly as the base. 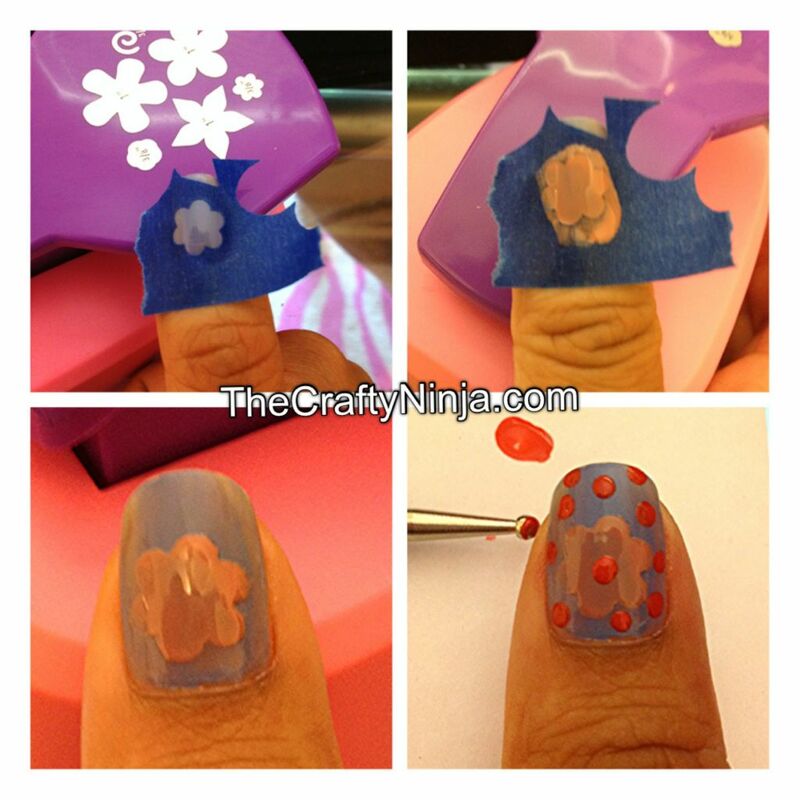 Once dried taped the edger punch design on top of your nails. Paint over with a different color, I used Color Club in a shimmer nail polish. Peel the tape off and seal with a top coat. This look is very simple and delicate, and it reminds me of lace. I first used Finger Paints Base Coat then Essie Lapis of Luxury. After punching the flower, I taped it on my nail. Painted over with Essie Eternal Optimist. 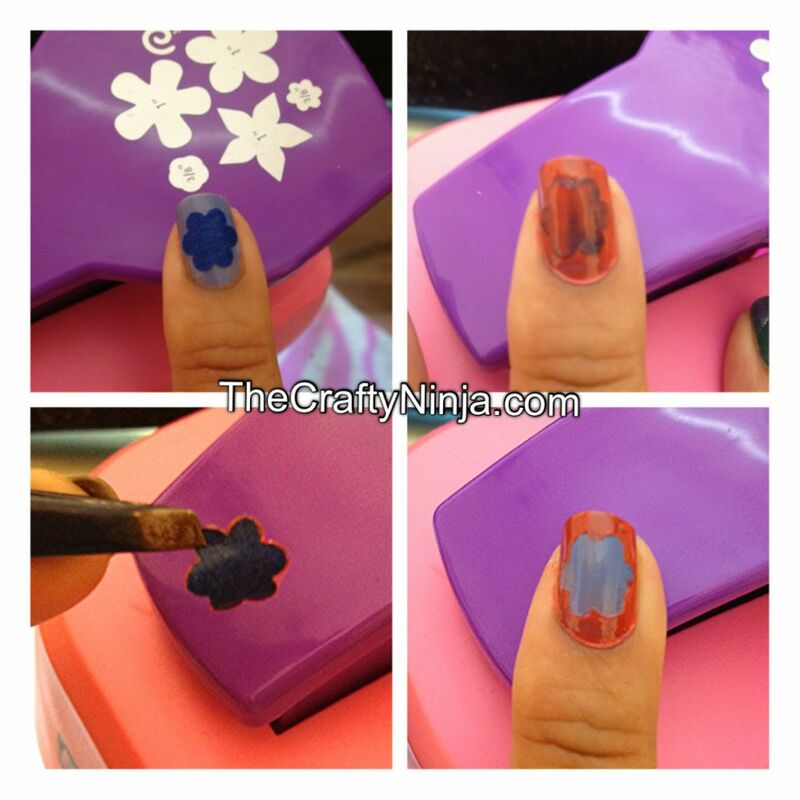 Pulled the tape off carefully and added dots with nail polish Essie Chubby Cheeks. Last I used Finger Paints Top Coat to seal and protect my nails. I did the same steps as above except I used the punched flower to do the opposite effect and pulled off with tweezers. Sealed with Finger Paints Top Coat.